MSLGroup parent company Publicis saw organic revenue growth accelerate to 2.8 per cent in a "better than expected" fourth quarter of 2015, leaving organic growth across the full year at 1.5 per cent. Overall revenue (including acquisitions and favourable exchange rates) in Q4 rose 27.2 per cent versus Q4 2014 to €2.7bn (£2.1bn, US$3.1bn) and across the year it grew 32.3 per cent to €9.6bn (£7.5bn, $10.8bn), the group announced in its Q4 and full-year results this morning. Publicis said growth in Q4 was "shored up by digital activities and the very good dynamics in North America". Organic growth in that region was 6.3 per cent. However, organic growth fell 1.7 per cent in Europe in Q4. Publicis cited the terrorist attacks in France in November that it said led to a freeze on advertising investments. Elsewhere, there was organic revenue growth of 5.1 per cent in Asia-Pacific in Q4, but organic revenue dipped in Latin America (-3.7 per cent) and the Middle East & Africa (-4.4 per cent). Overall revenue growth in Q4 was also strongest in North America – up 43.7 per cent to €1.4bn (£1.1bn, $1.6bn), with Europe up 14.2 per cent to €770m (£600.1m, $869.9m) and Asia Pacific up 20.8 per cent to €320m (£249.4m, $361.5m). Across the year, organic growth in Europe was +0.4 per cent, with digital growth of 7.5 per cent in that region. Growth was five per cent in Germany and 1.7 per cent in France, with the Iberian countries also in growth (+2.7 per cent). However, organic growth dipped by 4.3 per cent in the UK in 2015, with Publicis citing the change of management at Publicis Worldwide UK and the reorganisation of its digital agency Razorfish. The holding company, which also owns and operates advertising shops including Saatchi & Saatchi and BBH as well as PR network MSLGroup, did not break out individual PR numbers. Across the year, operating margin grew 25.8 per cent to €1.487bn (£1.2bn, $1.7bn). Operating margin as a percentage was 15.5 per cent. Free cashflow exceeded €1bn for the first time, rising 31.2 per cent to €1.1bn (£850m, $1.2bn). Headline earnings per share rose 20.6 per cent to €4.39 (£3.42, $4.96). 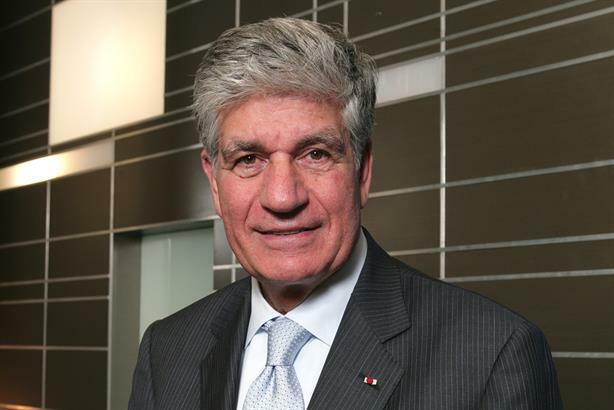 Maurice Lévy, chairman and CEO of Publicis, said 2015 was a "particularly busy year", with the integration of newly acquired digital network Sapient into the business, along with "the major repurposing process, the work stream on the group's transformation, not to mention the numerous media accounts up for review". "Under these circumstances, the group’s performance was particularly good, in part thanks to the boost provided by acquisitions and exchange rates." Levy said Q4 "turned out to be better than expected", and he pointed to 8.8 per cent organic growth in digital activities in the quarter. "Over and beyond organic growth, all the indicators are positive," Levy stated. In December, Publicis announced it was restructuring its business into four "solution hubs", with MSLGroup becoming part of the Publicis Communications hub, led by Arthur Sadoun. Levy said: "We have great confidence in the implementation of our new business model. It should enable us to meet the most demanding of client expectations and make us more competitive." He predicted 2016 would be a "year of transition during which we anticipate to see modest organic growth, and focus on building foundations that will allow us to fire on all cylinders in 2017". Publicis said 2016 should "unravel in a low-growth economic environment" with low inflation, macroeconomic uncertainty and a continued downswing of commodity prices. Clients would also be focused on cost reduction plans, it said. "Despite this context, Publicis Groupe expects all its financial indicators to increase in 2016: i.e. revenue, operating margin, adjusted EPS, and dividend payout."